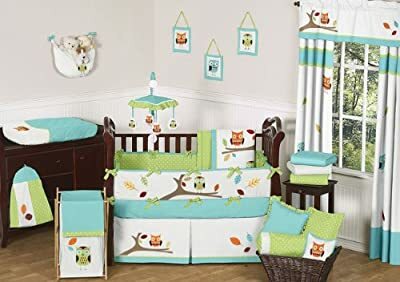 There are numerous owl themed crib bedding sets and accessories available for you to decorate your newborn's nursery. It's simply a matter of personal taste as the crib bedding is available in many colors, fabrics, textures and styles. You might think about your home decor and palette of color, when choosing the bedding for your nursery. Choose colors, textures and fabrics that complement your existing furnishings and decor in your home. 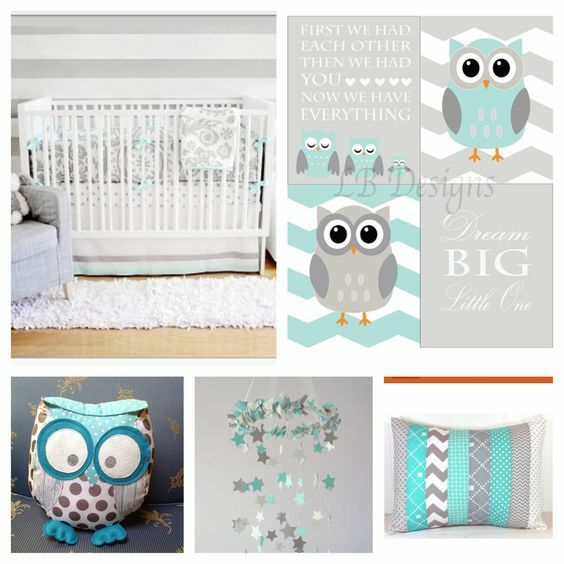 Have you decided to decorate your baby's nursery in an owl theme? 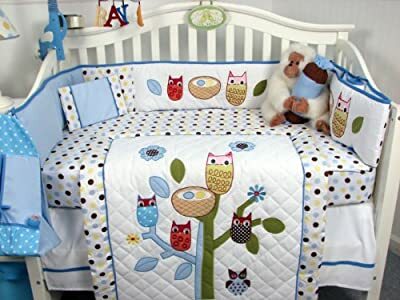 Owls are so popular right now and bedding and decor are easy to find for girls, boys and gender neutral. 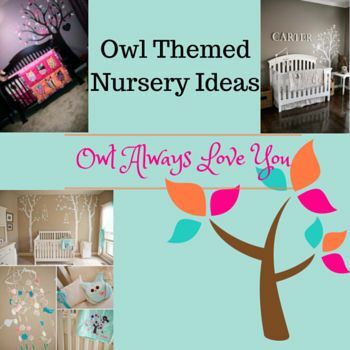 Here are a few adorable owl themed nursery ideas we found on Pinterest to help inspire you. 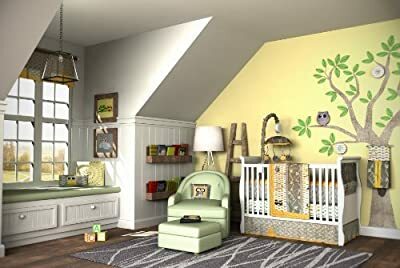 Each owl themed nursery links to the pin we found so, feel free to give these pinners some love if you like what you see. 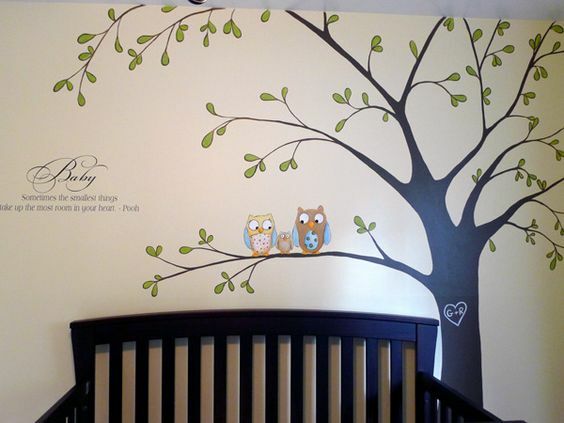 We love this gender neutral owl nursery...the colors are great! The nice thing about this color combination is that you can add other accent colors to it when you find out if you're having a boy or a girl. This nursey for baby boys is so cute. Notice the initials of mom and dad are carved into the tree with a heart...precious! We love the beautiful vibrant colors of the leaves and the owl for your sweet little girl's nursery!